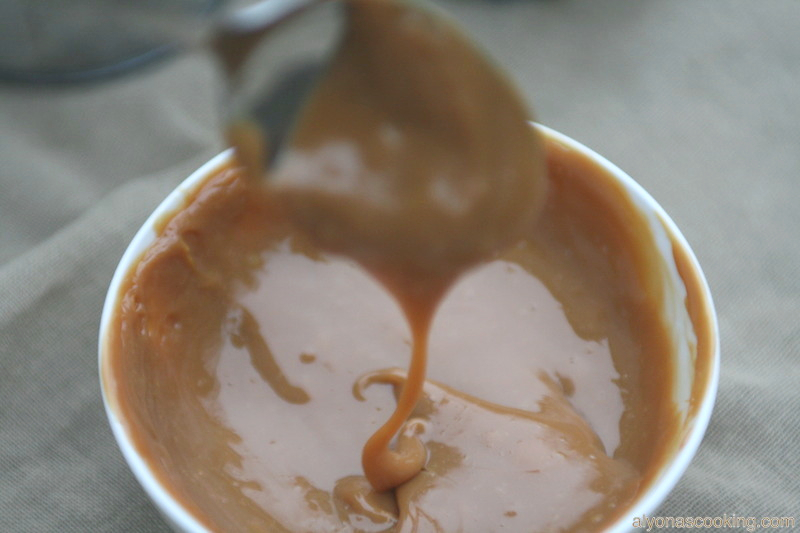 This is probably the easiest way to make caramel sauce. No whisking, no thermometer, no handling with all kinds of ingredients and you can probably eat this right from the can it’s so good. That’s right, can…. 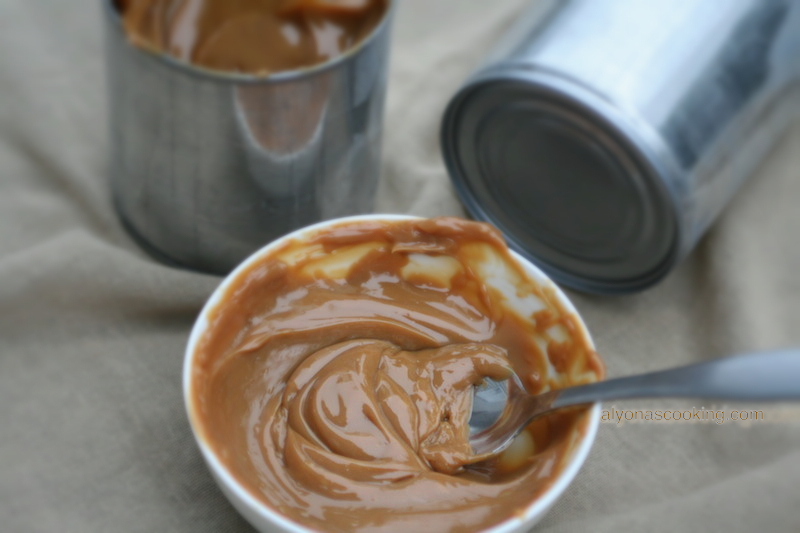 All you need is some canned condensed milk to achieve deliciously amazing caramel sauce. 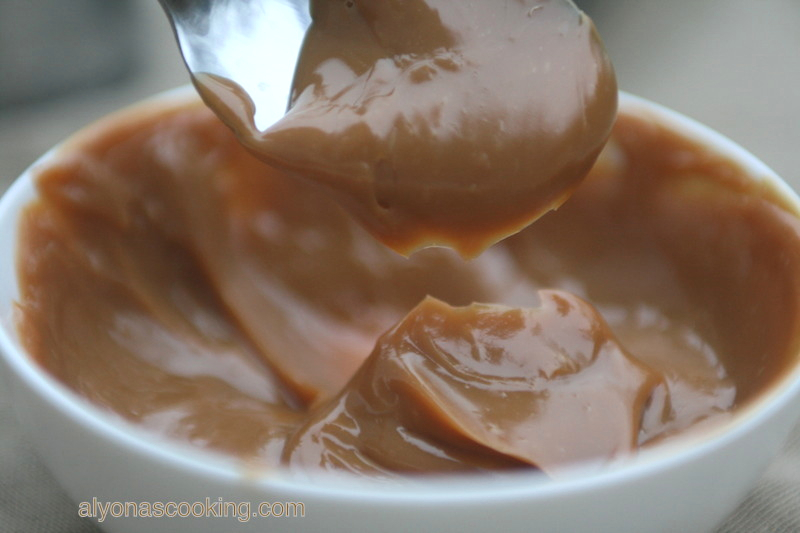 This kind of caramel also goes by the name Dulce de leche. It’s cooked to a beautiful rich tan color and you can certainly cook to a desired consistency and color. Meaning; if you prefer a lighter brown color boil for no more than 2 hours. If you want to achieve a darker brown color boil for 3 hours and anything in-between boil for 2.5 hours. 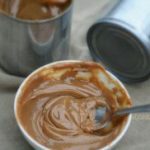 This technique is great because you can have ready caramel sauce enclosed in a can that can be used when needed. Where as if you were to make fresh caramel sauce using heavy cream you would probably have to use it up in a timely manner. I like to boil at least 5 at time, this way you have some on hand for a while. This can be used for frostings, toppings and many more other dessert ideas. It tastes amazingly sweet and good so do try this cooking method the next time you want to make caramel. 1.) 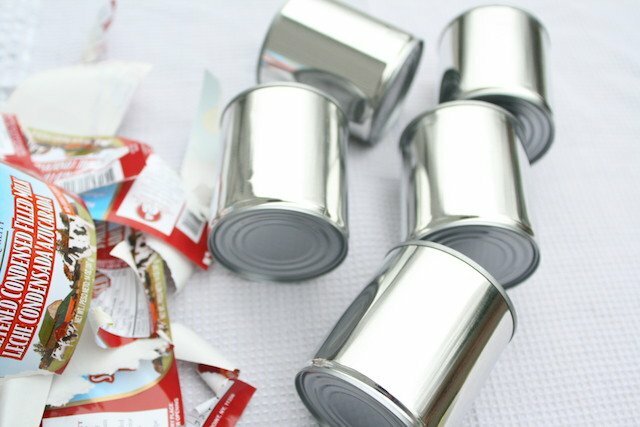 Remove the labels off of the cans and place into a large pot (preferably one with a lid). 2.) 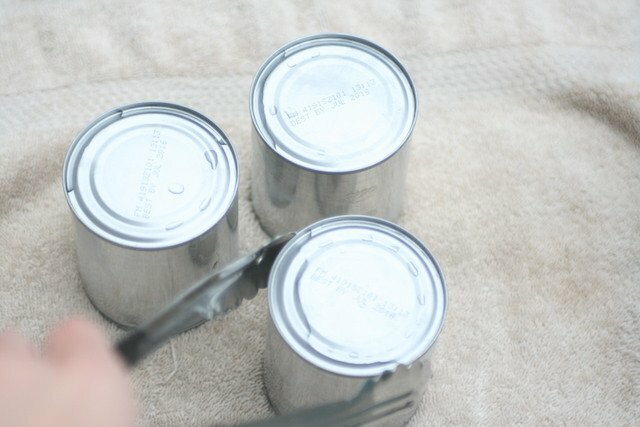 Pour water over cans to completely cover. This is probably the easiest way to make caramel sauce. No whisking, no thermometer, no handling with all kinds of ingredients and you can probably eat this right from the can it's so good. 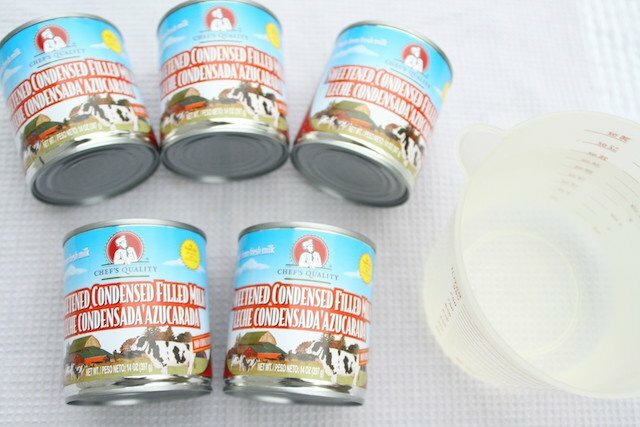 That's right, can.... All you need is some canned condensed milk to achieve deliciously amazing caramel sauce. 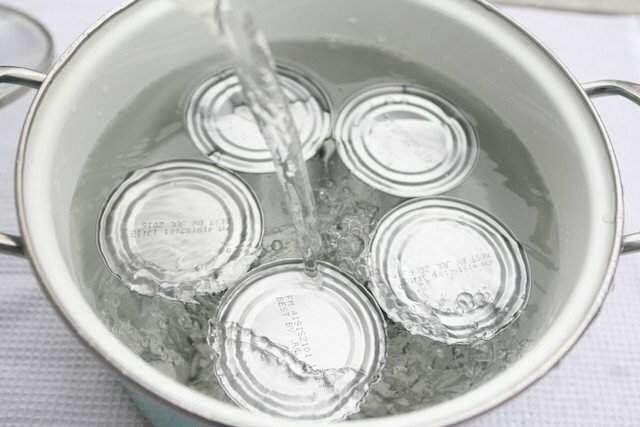 Remove the labels off of the cans and place into a large pot; pour water over cans to completely cover.